The warm weather has certainly been beneficial this year, but the summer heat has brought with it several pest problems, some of which are likely to escalate when lower temperatures eventually arrive at the end of the season. Rats and mice have enjoyed a bumper year so far and numbers are certainly up with food in abundance from many sources being readily available. 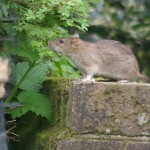 With a lot of the harvests now in many of the rodents that sought food and lodgings in rural locations, will be returning to more inhabited areas and any weaknesses in buildings will be exploited. 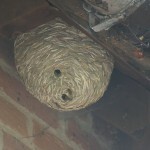 Wasps are still active in many areas and as nests reach maturity, the queens will vacate to mate and hibernate, ready for the new season next year. In the meantime, workers will still be busy looking to satisfy their need for sweet foods from either wild or domestic sources. With the warmer weather, conditions have led to an explosion in flea numbers with many domestic pets becoming infested and in turn, properties. Once fleas have established in a property, it is important to quickly get on top of it and break the cycle, otherwise long term suffering will occur. Many species carry fleas including foxes, rats, mice, squirrels, rabbits and even moles. Speaking of moles, numbers are up this year from last, certainly a lot of conflict has occurred in gardens, due mainly to the fact of very dry soil forcing moles to seek out food in other locations. 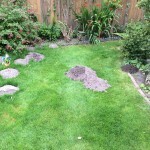 Even smaller gardens have fallen victim this year where moles have never visited before and it is thought that some moles may have had a second brood this year adding to the numbers. Enjoy the rest of the summer but remain vigilant and do not let a simple pest problem become a potential crisis.